The architecture firm won the international architectural competition announced by the Estonian Museum of New Art, in cooperation with the Union of Estonian Architects and Pärnu City Government to establish the Baltic Sea Art Park in Pärnu. WXCA presented the "best vision in terms of architecture and planning to further develop the art park of the Baltic Sea countries". The Baltic Sea Art Park will be located in the City of Pärnu, on the left shore of the Pärnu River, in the immediate proximity of the historical Suursild, and will exhibit the folk art of the ten countries located on the shores of the Baltic sea: Estonia, Latvia, Lithuania, Russia, Poland, Germany, Denmark, Sweden, and Finland, along with autonomous Aland. The pavilions will be ships and vessels built like mobile structures, that will be hauled to Talvesadam when it gets cold. The mobile pavilions can be occasionally transported to other cities. 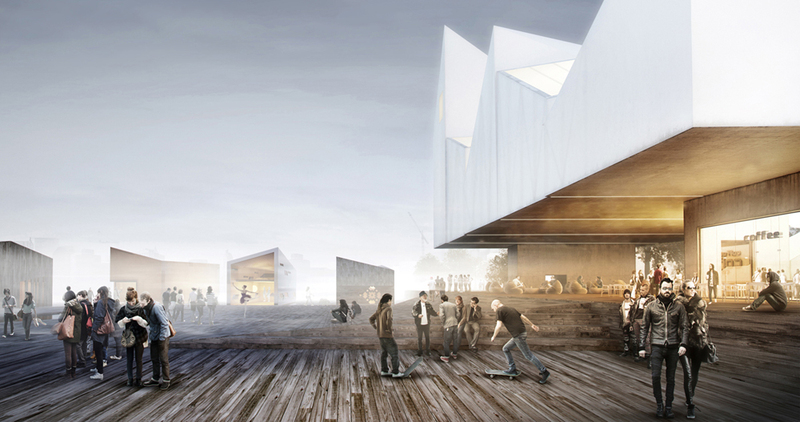 The Baltic Sea Art Park will be established in two parts. An aboveground part with public buildings and an above-water part with ten national floating pavilions. The WXCA studio (Zbigniew Wroński, Szczepan Wroński, Marta Sękulska-Wrońska, Małgorzata Dembowska, Krzysztof Moskała, Michał Czerwiński, autor wizualizacji: Sebastian Kochel) presented a cluster of cubes around the main square which serves as a dock and leads to the main exhibition building. The jury gave credit to WXCA's skill in managing to blend the modernist project into the city's urban architecture and their use of references to a church which once stood in the same place until it was destroyed during the war.